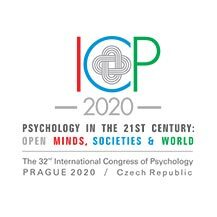 ICP 2020 will feature an Emerging Psychologists’ Programme as an integral part of the scientific programme. The Emerging Psychologists’ Programme is intended to enhance communication between Emerging Psychologists from different countries and diverse cultural backgrounds, to promote exchange of knowledge between established and younger scientists, and to help younger scientists acquire new insights into specific fields of psychology and psychology in general. Who is eligible to apply for EPP? Those who are working on their PhD thesis or are on a postdoctoral fellowship and want to become leading scholars in psychology. The application form will be available on ICP 2020 website by May 1st, 2019. Please follow the updated information regarding application and guidelines on the ICP 2020 website.